Students who wish to get admission in Class 11th in Bihar State school which is affiliated by BSEB has been already applied for BSEB OFSS. If you are also the students and applied for BSEB OFSS Intermediate Admission and do not get a name in the first merit list then you can proceed for get admission in BSEB Inter after the release of the second Cut off Merit list. For Admission through the BSEB OFSS Intermediate have to go through the same process. Avail admission BSEB OFSS has been announced Second Cut Off Merit List 2018. 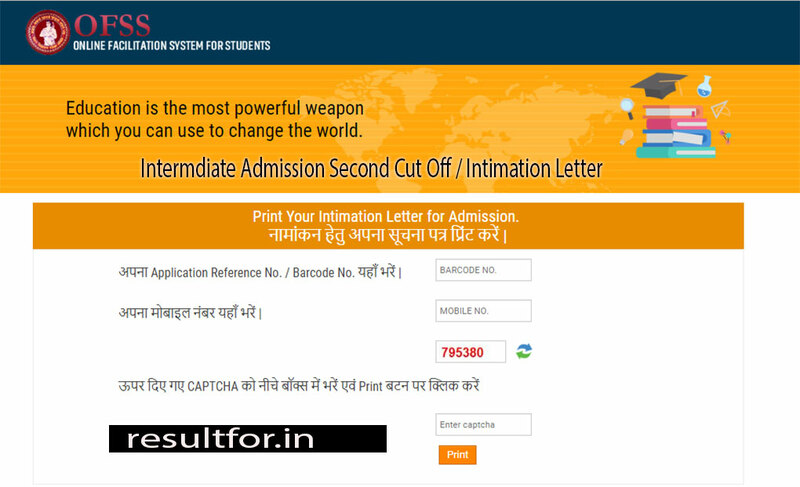 BSEB has released the Admission Intimation letter and Second cut off at www.ofssbihar.in. Aspirants who do not their first preference they can also check out the BSEB Inter OFSS Second Merit list for admission. After taking the admission on the basis of first counselling aspirants can transfer their admission after the announce name in the first preference. This merit list will be released for those students who do not their name in first merit list. Aspirants who changed their slide to change their college/school or course. Any applicant who has an issue or wish to clarify the rule or doubt they can contact OFSS for the solution. Board has made a portal to share their queries and get a solution for that. To know the answer of your query has to log on BSEB OFSS Students portal by clicking on intermediate student login. after the login students dashboard, you can ask your query from feedback or grievance. Conclusion: Bihar School Examination Board soon going to release the first intimation letter for the admission in the Intermediate for rest students yet not got admission but applied through the ofss.